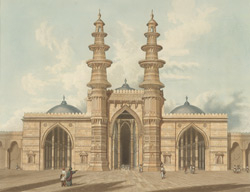 The Shaking Minarets, at Ahmedabad in Gujarat, are the two unique minarets found at the Sidi Bashir Mosque, near the Sarangpur Gate. As the name suggests, these exclusively designed minarets are constructed in a way that when one minaret is shaken the other one shakes too. This unique feature of the minerate attracts tourists from afar. The fame of these shaking minerates has spread wide. Here's the our members favorite photos of "Mosques in Ahmedabad". Upload your photo of Shaking Minarets! Samatour is the only Touristlink member to visit Shaking Minarets. Have you been here? Click here to save it.